This package focuses on every part of your body from head to toe starting with a body polish using ancient marine crystals, followed by the layering of a unique clay, you are then wrapped like a cocoon, while laying you will have a beautiful hydrating facial and scalp massage, after the cleansing of your body our therapist will relax your muscles with our signature European massage, you will then lay under a warm light called led to infuse your facial for an amazing glow, moving forward you will have our hair stylist treat your hair with a high shine gloss treatment that lasts up to 4 weeks followed by our signature styled blowave, you will then sit at our beautiful pedi lounge and have our nail technician give you a deluxe pedicure and express manicure. With these packages our leading therapist will consult you to tailor the right facial and peel for your skin. 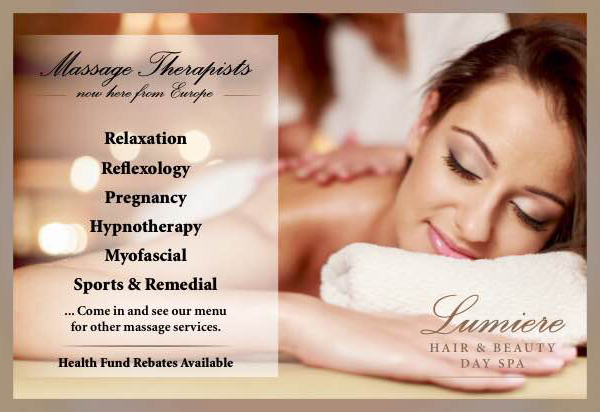 All packages include a discount gift voucher for your next visit.